Is an appraisal the same thing as a home inspection? An appraisal is an unbiased estimate of what a buyer might expect to pay, or a seller receive, for a piece of real estate (e.g. a home, a vacant piece of land, etc.). Most people turn to a licensed, certified, professional appraiser to provide them with the most accurate estimate of the true value of their property. 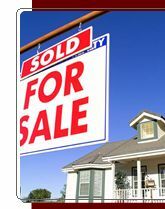 An appraiser makes a professional, unbiased estimate of market value. An appraiser then presents their analysis in a report provided to the customer. No. A home inspection is an evaluation of the condition of the structure and mechanical systems of a house. A home inspector provides an analysis of the condition of these systems rather than an estimated market value of the structure. All known easements, restrictions, encumbrances, leases, reservations, contracts, declarations, special assessments, ordinances, etc. Licensing and certification regulations vary from state to state. However, most states tie their regulations to hours of coursework, test, and actual experience. Most states also require continuing education courses for appraisers to maintain their license. You can view our license here. In general, appraisers are employed by lenders to get an estimate of the value of the real estate involved in a loan transaction. Yes, we accept all four major credit cards: American Express, Discover, Master Card & Visa. Please call our office to submit payment by credit card.